Spring little tags with Franci! 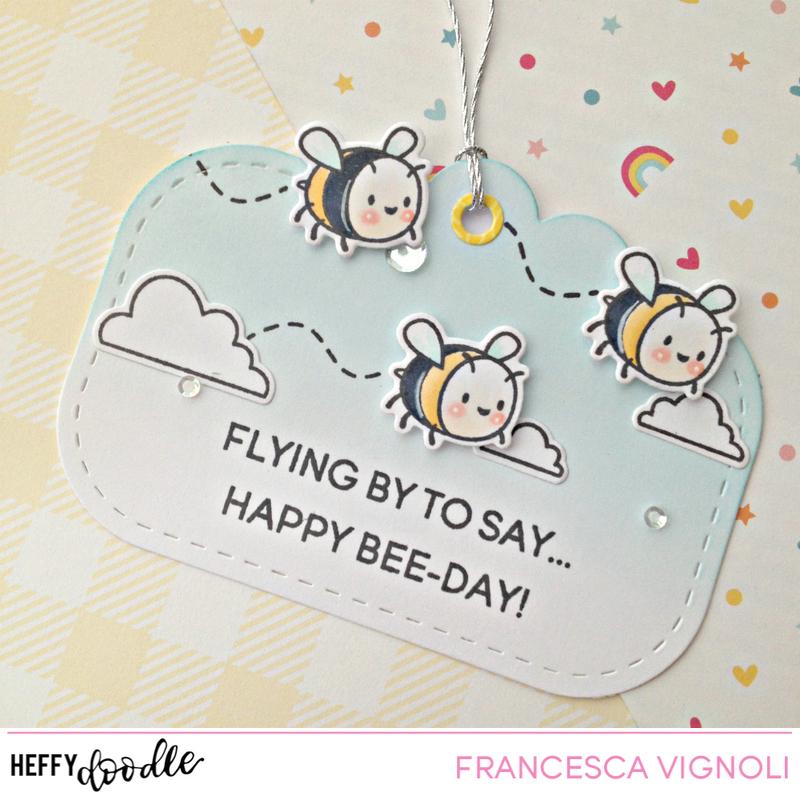 Franci here with yoy today with a couple of spring tags feat the adorable Big Bug Hugs set. 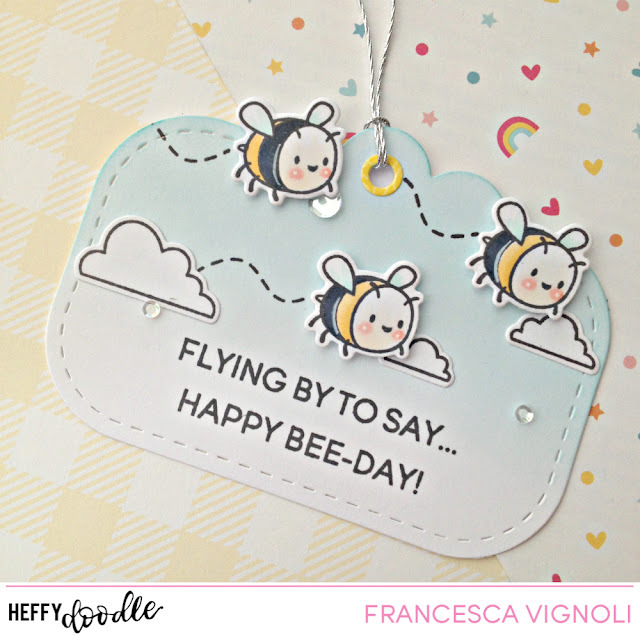 I love making tags and these included in the Tag Along Dies set are beautiful! 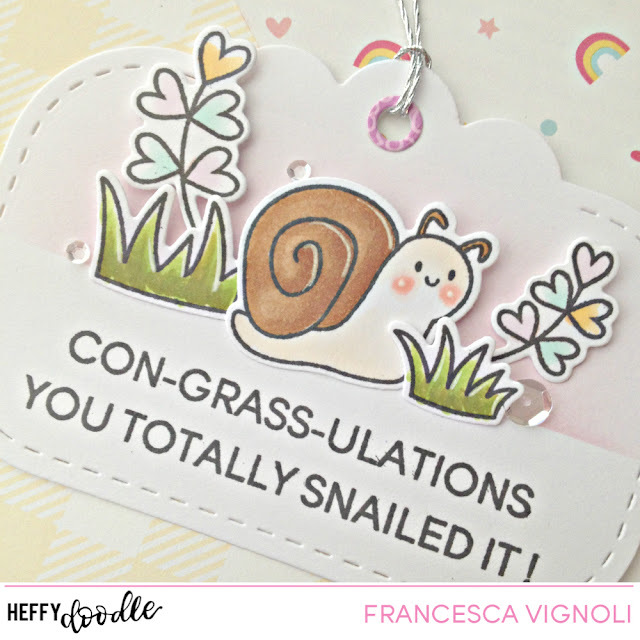 First of all I die cut them out of some white cardstock and then I colored them by sponging some blue and pink distress inks. 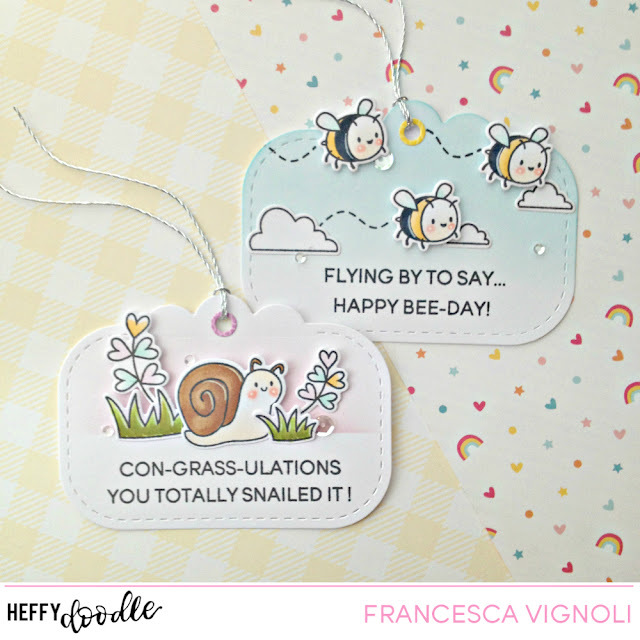 For the snail one I masked the bottom with some Heffy Memo Tape to leave some space for the sentiment, for the bees one I created an ombrè effect instead. I stamped all the images, colored them with copics and die cut them with their coordinated dies. 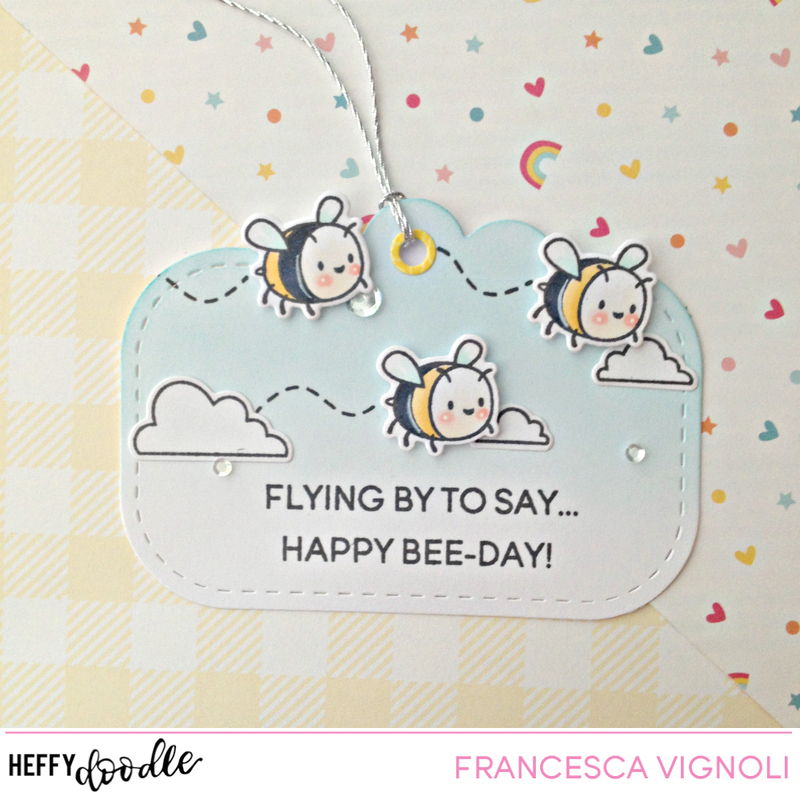 I also added some little clouds from the Superdudes set for my light blue tag. These little critters are the cutest.. I can’t even pick a favorite! ihih!! 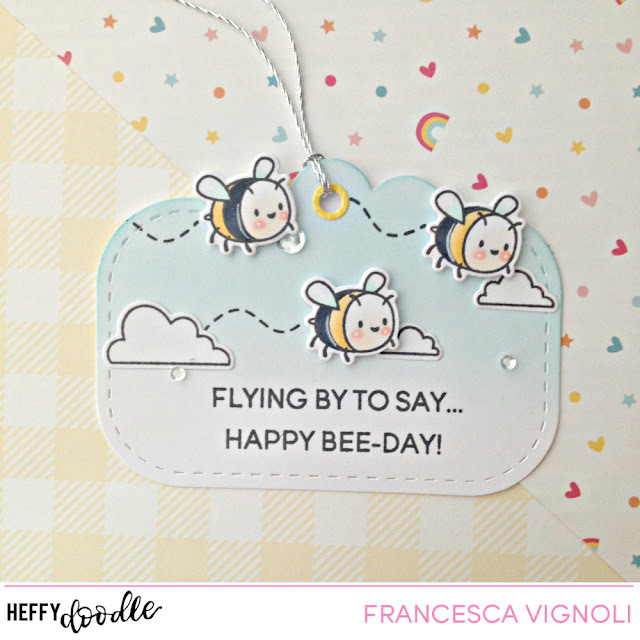 I stamped all the sentiments and glued all my images down with a combo of liquid glue and foam tape. I added silver twine and the tags are ready! 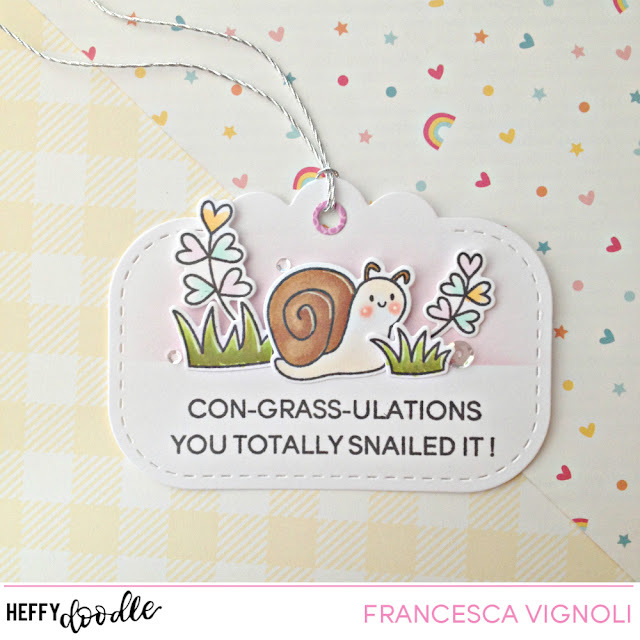 Hope you like my spring tags and thanks a lot for stopping by today!